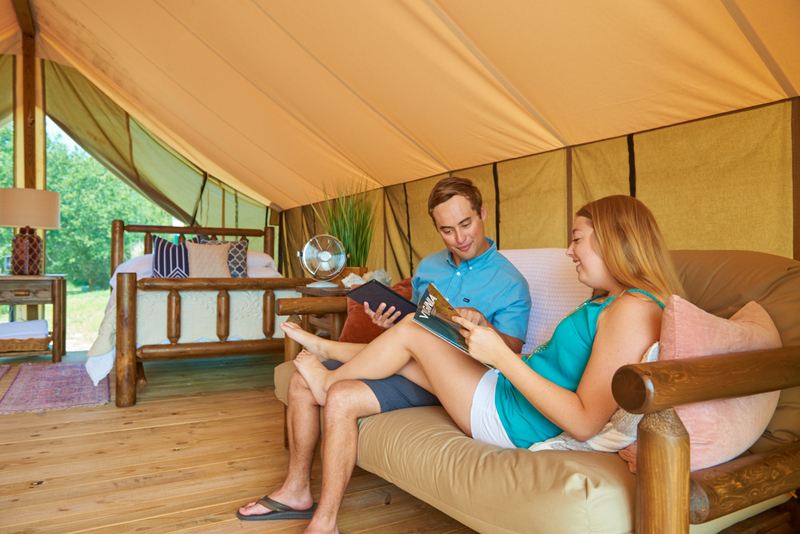 Enjoy all the fun of camping with the comfort of a queen bed. 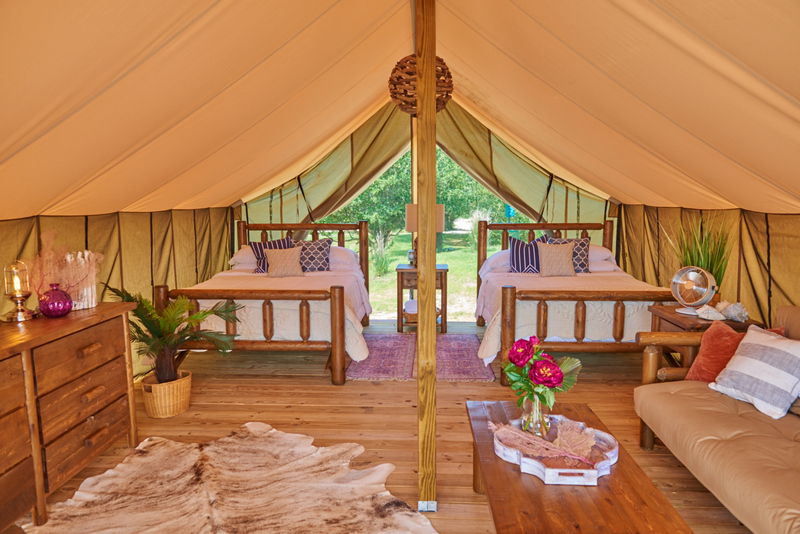 Safari tents sleep six with two queen beds and a full futon, so they're perfect for romantic weekends or group getaways. 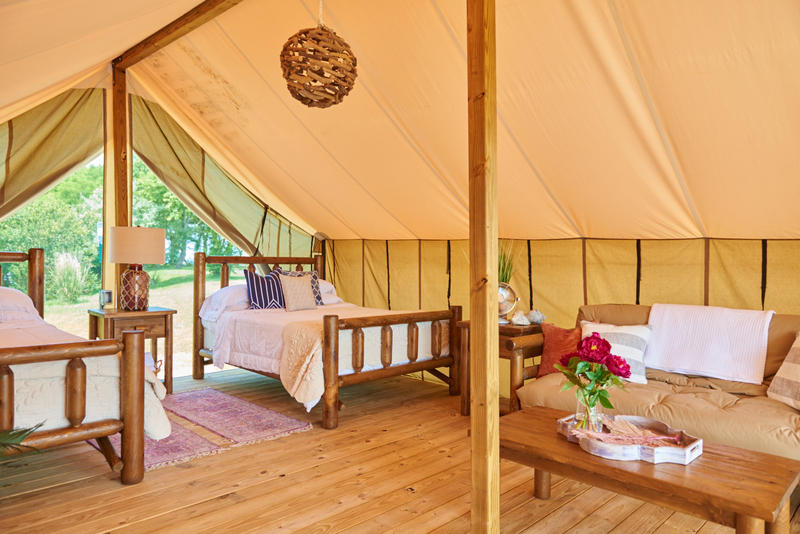 Each site comes equipped with a fan, deck furniture, fire ring, picnic table and electricity. Safari tents are located close to parking. Linens and one golf cart are included. 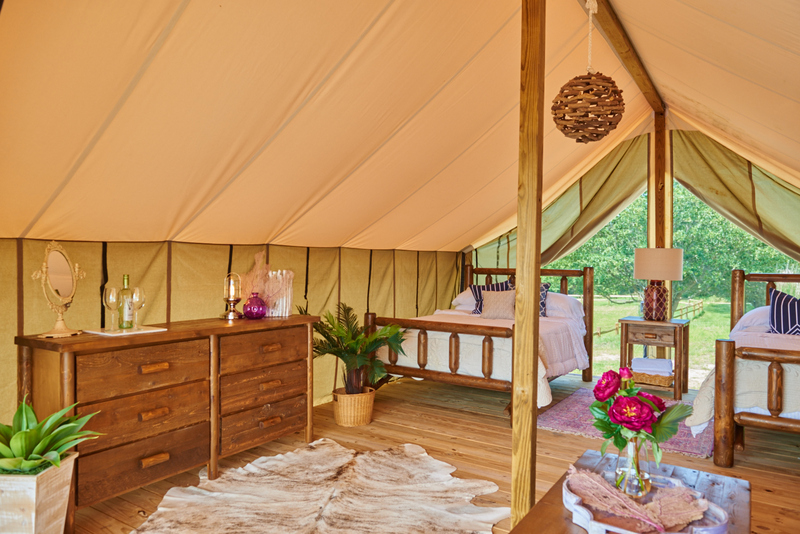 Safari tents are not pet-friendly. 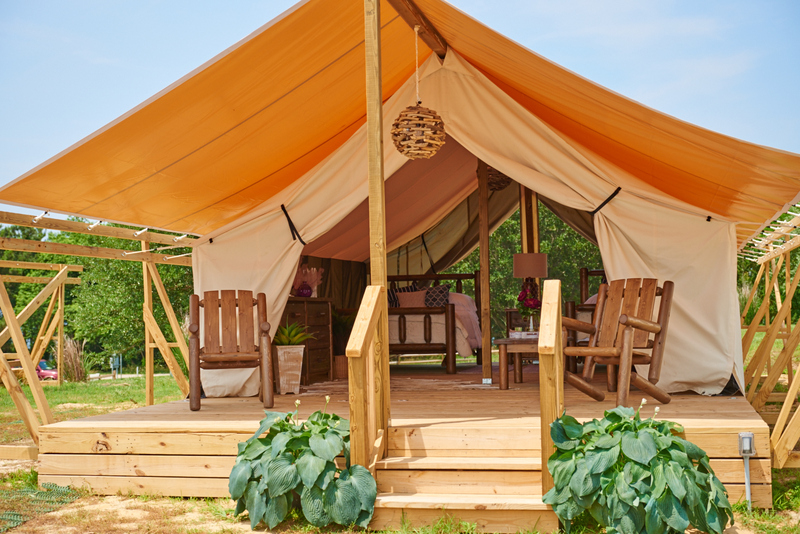 Escape to the Delaware Beaches and see what glamping is all about at Massey's Landing.